One of the more thorny issues couples face upon the breakup of their relationship is child support. Regardless of how mother and father feel about one another, their children still need to be financially cared for in order to assure their health and well-being. In the state of Utah, child support involves financial payments for health care, childcare expenses, and daily living expenses like food, shelter, and clothing. All of these things are factored together in determining how much each parent pays towards the financial support of children. At Giacovelli Law we have the expertise to help you thru these critical child support determinations and adjustment and enforcement proceedings. Child support is based on the income of both parents as it relates to the equivalent of a full-time salary. While overtime and bonuses are usually not considered, a court will look at things like disability payments, workers comp, Social Security benefits, and pension payments if a parent receives them in lieu of full-time employment. 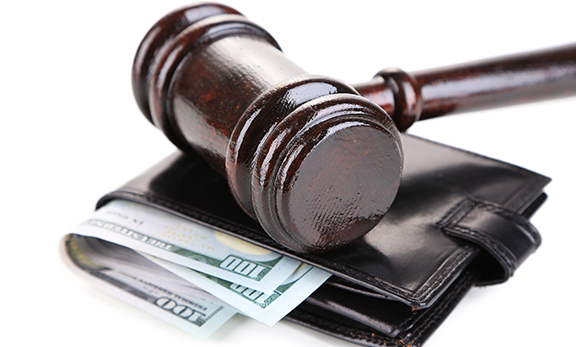 In most cases, the noncustodial parent is required to make child support payments. Circumstances dictate the custodial parent will also financially contribute simply by caring for the day-to-day needs of the child. What the court orders by way of monthly payments will be determined by a set formula that looks at the income of both parents and the financial needs of the child or children involved. See child support worksheet: click here. Child support is subject to ongoing review. Either party may petition for a review or adjustment every two years. At the other end of the child support issue is the question of enforcement. Unfortunately, many parents fail to live up to their child's court obligations for one reason or another. Such scenarios require the other parent to petition the court to enforce child-support orders. Enlisting our help thru this process will ensure that the problem is resolved effectively and efficiently and will minimize the stress inherent in these processes. This is never a pleasant process but it must be done for the protection of the affected child. Simply ignoring neglected child support is not the right way to go. If you are facing child support enforcement or adjustment issues, it is imperative you have a competent attorney who understands the law and is willing to fight on behalf of you and your child. The experienced attorneys at Giacovelli Law are just what you are looking for. We understand how difficult it can be to deal with child-support enforcement and adjustment and turning the job over to us will minimize the burden and alleviate undue emotional stress on you and your children. We endeavor to help you in any way possible so that you can have resolution and move on with your life.